Why has 4am become my bedtime?! It’s 4am and I’m still up. Ugh this is so frustrating. Why? Because I’m tired. I slept for maybe 4 hours last night and then had a 2 hour nap this evening. That’s not enough sleep for me and I am exhausted, but my brain is too wired. I’m thinking about my follow up appointment with my surgeon today and also my mothers friend’s daughter who has liver cancer and is really depressed. Her depression of course is natural and very understandable. The thought of her makes me want to cry. It takes me back to when I was going through chemo and was depressed. My mom thought that I could talk to her and maybe lift her spirits a little. I told her to find out more detail first and see if she even wants to talk to anyone. I also have to make sure that talking to her doesn’t make me feel depressed. I only finished treatment a week and a half ago. I’m still emotional and recovering. Not sure if it’s a good idea BUT if I can help someone, then I’d like to. My issue is that she has liver cancer which is different from breast cancer and the prognosis is usually worse. Depending on her situation talking to me may not help at all. What am I gonna say “sorry you have liver cancer but I had breast cancer and am now in recovery”??? Ok I’m exaggerating but still, I’m just not sure talking right now would be good for me and not sure if talking to ME would help her. I guess I’ll wait and see. 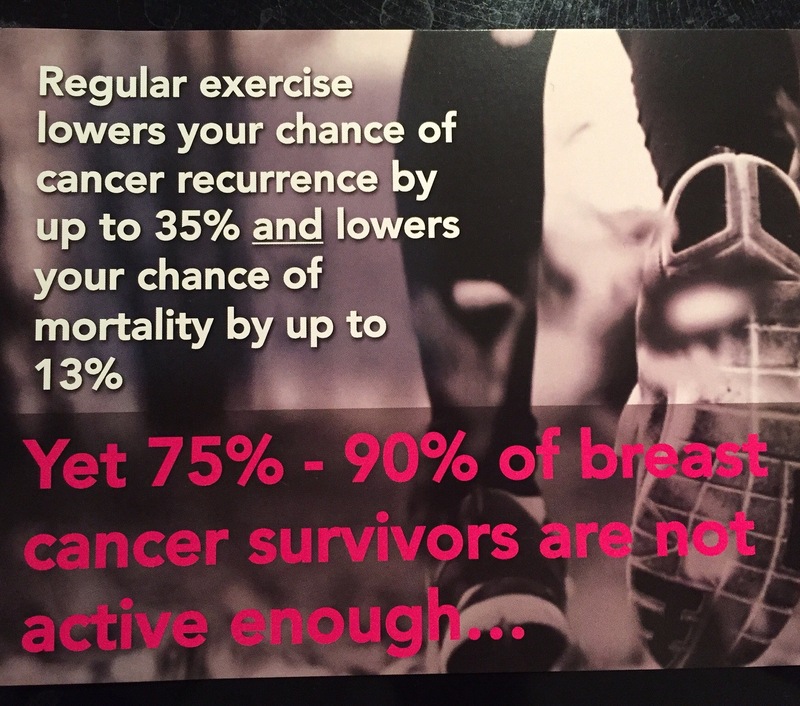 I really want to start some form of exercise and have looked into several programs targeted to cancer survivors. Can’t wait to start, my body feels so stiff. I also can’t wait to move but still in the process of looking for a condo. I stretch every day but it’s really just my arm, shoulder and chest area. Maybe I should start stretching full body. My surgeon was very happy with my post mastectomy range of motion. He also told me that he read a study saying that staying slim reduces the chances of recurrence by 33%. Now I wonder, is that because of less body fat or eating healthier and exercise OR maybe it’s a combination of all of those things. I wish I knew what was happening inside. To see when and how those mutant rogue cells start forming. If only! Tomorrow I’m attending the eating well after cancer info session. Looking forward to it! The weather is finally getting better and I wish I had more energy so I could do more … How long does this fatigue last?? Some say months and some say years?! Years!! Good lord that cannot happen. Well I will do whatever I can to slowly start getting my energy back. Also attending a Reclaim Your Energy session at the hospital soon. Hopefully that will help! Oh yeah I’ve also gained a little weight and just feel flabby. So I need to lose 5lbs and do some light weight training. My pants are all just a little bit too tight! Lol. I also think exercising will help me sleep better.